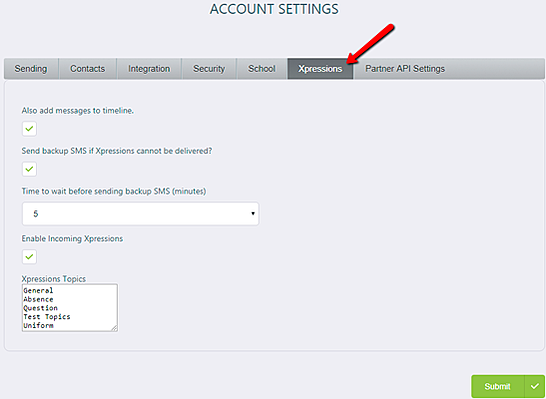 Parents can use Xpressions to send messages to the school, completely free of charge. Please note, turning this feature off will not prevent parents from replying to open messages sent to them by the school. First, your school admin user for Messenger will need to enable this functionality in order for parents to send new messages to the school using the simple steps below. 1) From your Messenger admin account, click Tools and then click Account Settings. 2) From the list of tabs at the top of the page, click Xpressions. 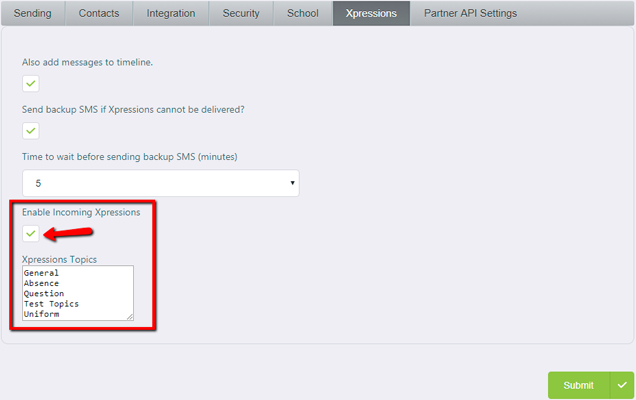 3) From the Xpressions tab, tick Enable Incoming Xpressions. 4) Under Xpressions Topics, you can add any additional topics. Each topic needs to be added on a new line. a. Parents will need to select a topic when writing a new message to the school. 5) Click to save any changes. 1) From your Messenger admin account, go to Tools, then click Account Settings. 2) From the Xpressions tab, untick Enable Incoming Xpressions. 3) Click to save changes. 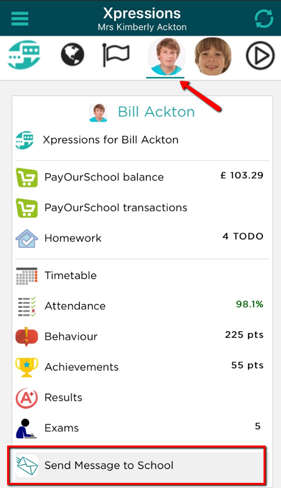 1) Once this feature has been enabled by the school, parents can send a new message via Xpressions either from the app or by logging into their account via the website: xpressions.groupcall.com. 2) Parents will need to be logged into their Xpressions account. 3) From the menu bar on the left, select the globe icon. a. Select the Child field to choose which child the message is regarding (where the parent has more than one child at the school. b. 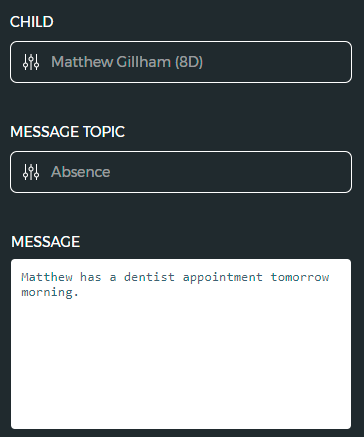 Select the Message Topic field to choose the most relevant subject for the message. c. Type the message in the white text field on this page. 5) Once they are ready, parents just need to Send the message from the bottom right. 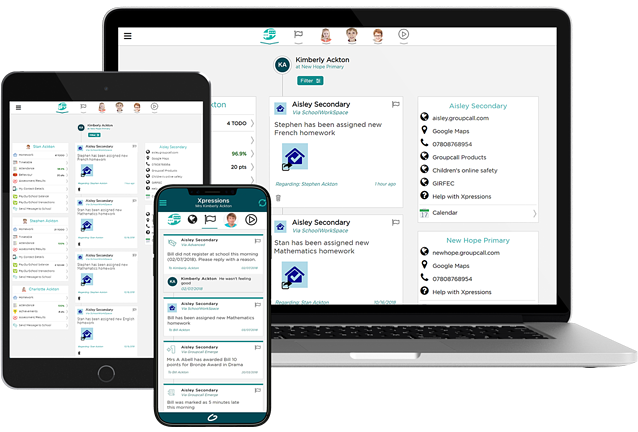 If your school has sent parents an open or closed message via Xpressions, they will be able to send a reply via their Xpressions account. To reply to an open or closed message sent by the school, parents just need to Write a reply in the text box shown under the school’s message. 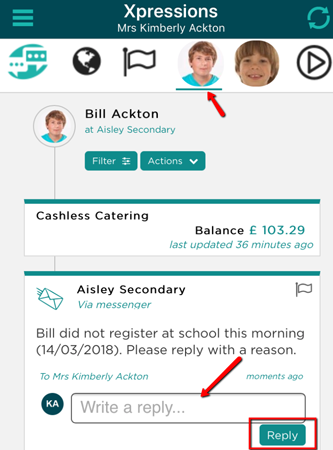 If parents have either sent new correspondence to the school or replied to an open/closed message via Xpressions, the school can view these messages within Messenger by clicking on Incoming Messages from the side menu located on the left. For further information on how to navigate the Incoming Messages feature, click here.